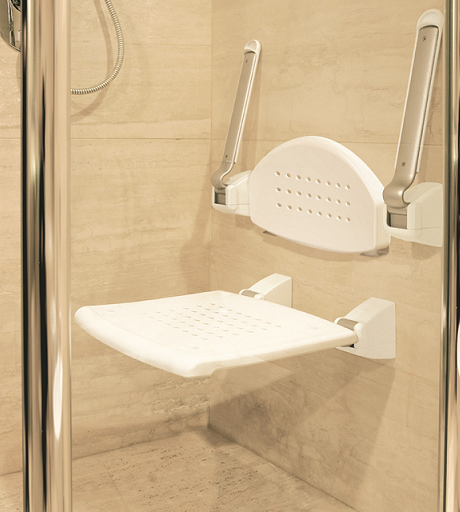 DESIGNED TO MAKE SHOWERING PLEASANT, EASY AND SAFE. UNIQUE DESIGN MAKES IT COMPLEMENT TO BATHROOM ENVIRONMENT. 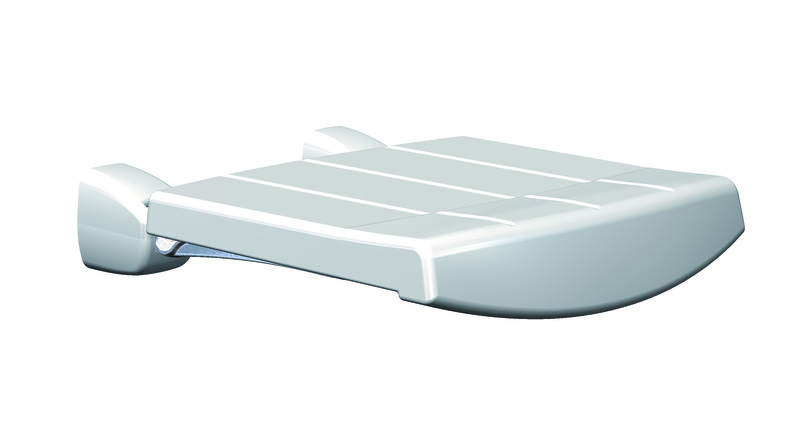 THE ERGONOMIC SEAT MADE OF TECHNO POLYMERS WITH NON-SLIP FINISH. 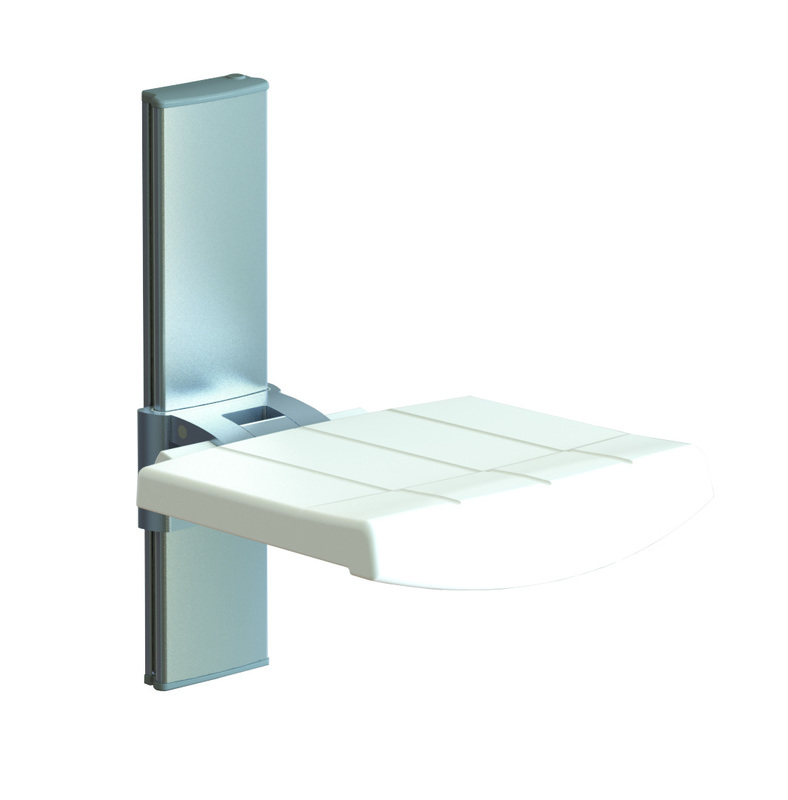 POSSIBILITY TO LIFT UP AGAINST WALL REDUCES THE ENCUMBRANCE. 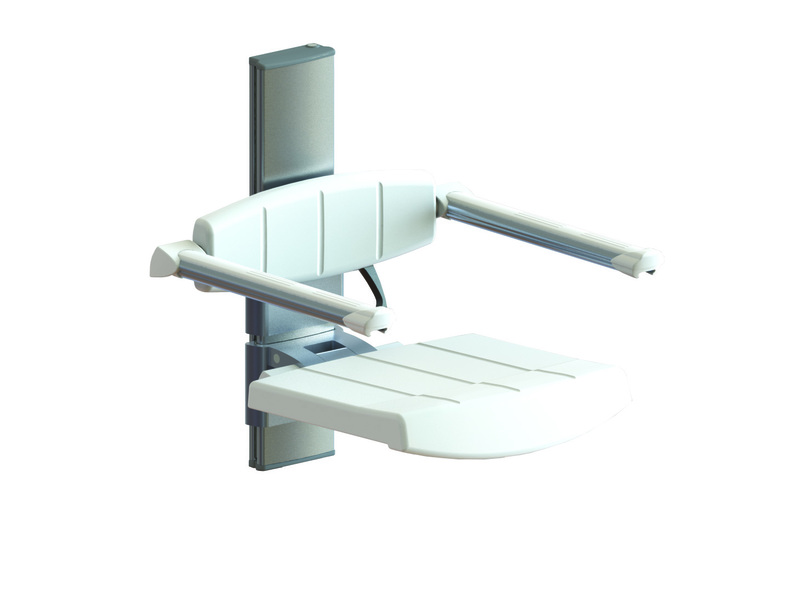 THE TELESCOPIC LEGS MADE OF ANODIZED ALUMINIUM OFFER EXTRA SUPPORT WHENEVER THE WALL DOES NOT GUARANTEE A STRONG HOLD, OR PERSON WITH LITTLE MORE WEIGHT, AS CONCERN. 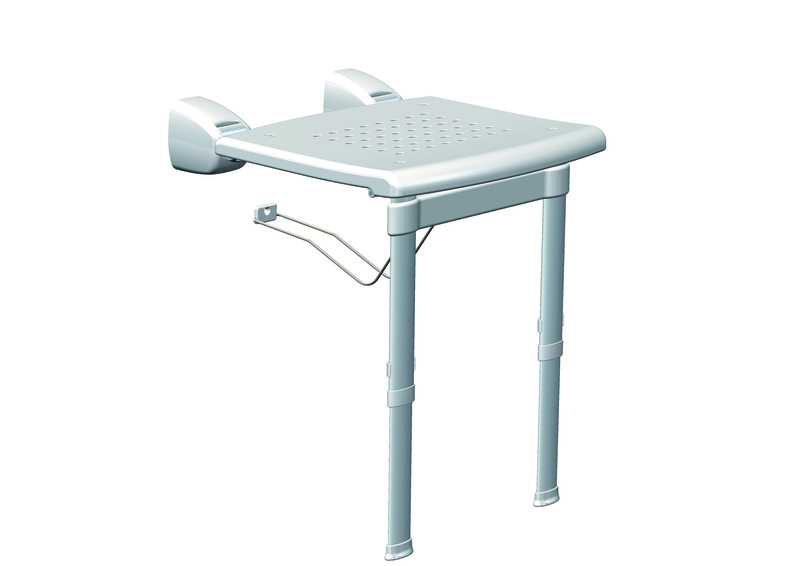 HEIGHT CAN BE FIXED ACCORDING TO USER NEEDS FROM 380-500MM FROM FLOOR ADJUSTING THE TELESCOPIC LEGS 30MM AT A TIME.